Most of us have probably been the recipient of a gift hamper from time to time and, needless to say, they vary enormously in quality! Not these ones though – they are top notch, and there’s something for just about every occasion. They are Bindles, and they’re a new eco-friendly and sustainable form of the traditional gift hamper. Everything that goes into a Bindle is sourced within Australia from high quality artisans and stores, with an emphasis on creativity and sustainability. Of course, while there are lots of Bindles for lots of different gift giving occasions, here at Babyology we love the Mother and Baby Bindles, the Mother to Be Bindles and the Bindles especially designed for Teensy Boys and Teensy Girls. 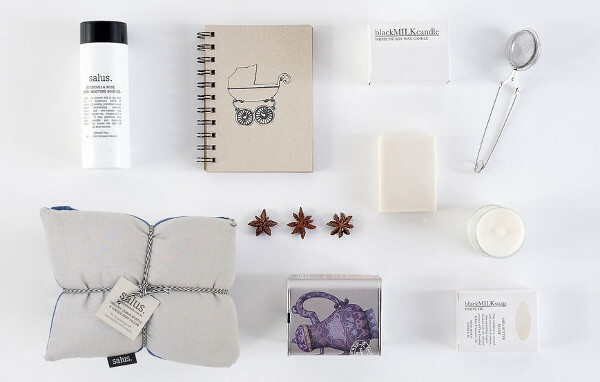 The Mother and Baby Bindles are full of goodness like handmade chocolates for mum, special creams and lotions (for both!) 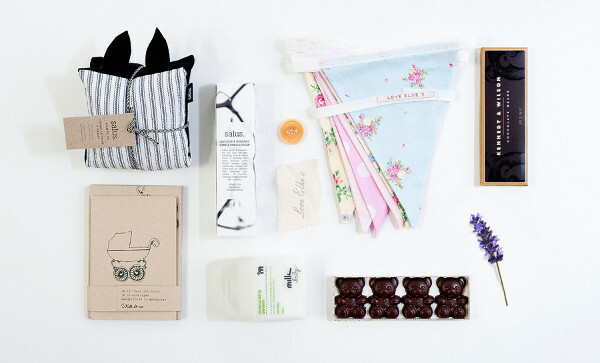 and even an organic lavender pram pillow to get baby off to sleep in no time. If, like me, you sometimes find yourself overwhelmed by possibilities when trying to find a special present for a particularly special time, these could be part of the answer. The pictures give you a sense of the care with which these little bundles are compiled. They are full of special keepsakes sure to be treasured for a long time, and lovely little touches for a bit of pampering at a very special time of life. Bindles begin in price at $50 and vary with size and content. You can peruse the whole range and order them directly at Bindle.